We are pleased to announce that the winner of the Grade Learning’s Teacher of the Year Award 2012 is Phyllis Brigden, Career College Instructor! Congratulations to all the nominees and winner! And thanks to all of our students who submitted nominations! Check out the Award Presentation pictures here! 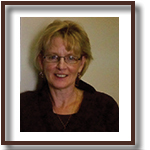 Phyllis Brigden has been an instructor at the Orillia campus of Grade Learning for 5 ½ years. Her certification as a Master Microsoft Office User Specialist and years of experience in bookkeeping and office administration has equipped her with the tools needed to support Grade’s students with their computer and accounting training needs. Phyllis strives to make each student at Grade Learning feel comfortable, capable, and qualified to meet their goals. She finds the humour in every situation and smiles all the time – real motivators for her students! She is excited about the future of Grade as it continues to deliver career college diploma programs and high school credit courses. Phyllis credits her enthusiasm for teaching to her outstanding manager Kailey Ritter and she is very grateful to her terrific students for nominating her for the Grade Learning Teacher of the Year Award for 2012. Eunice Chow’s dedication to education is rooted in her passion for advocacy and knowledge building within communities. She graduated from the University of Toronto in 2010 with a major in History and double minors in English and East Asian Studies. 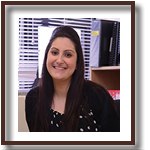 She went on to complete the TESL Certification program at Seneca College in 2011 and her B.Ed. at OISE in 2012. 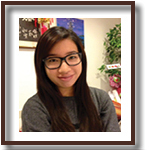 She hopes to pursue further higher education and to continue teaching at Grade Learning Markham while doing so! Edlira has been working for Grade Learning in Windsor since August of 2011. She completed her Bachelor of Education in Albania and shortly after that, in 2001, she immigrated to Canada. In order to become a teacher in Canada, in 2008, she completed the Early Childhood Education diploma program from St. Clair College. In 2009, she graduated from the Faculty of Education with her Bachelor of Education and in 2012, she completed the Additional Qualification course in Mathematics. She has been a member of the Ontario College of Teachers since November 2009. Her experience at Grade Learning has been one of the most fulfilling and challenging positions she has had. She is inspired by the students and the work that she gets to do here each day. 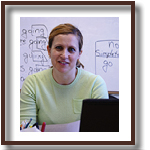 Vered has been teaching senior level math for the past 10 years. 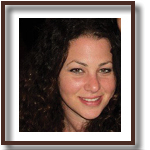 Vered earned her Bachelor of Arts degree in Pure Mathematics from York University before completing her teaching certification from OISE, University of Toronto. She has been working at Grade Learning in Markham for the last year. She says that Grade Learning has been the greatest place to work as it provides such a warm and secure learning space for students as well as teachers. Working with newcomers to Canada has also been a very satisfying part of her work; to know that she has been able to provide quality education to students who might have slipped between the cracks in the public school system is something that she feels very strongly about. She is honored to be nominated for Grade Learning’s Teacher of the Year Award and is glad that her efforts are appreciated and her students enjoy coming to class. She feels like a winner every day! Tanja is a teacher at Grade Learning in Windsor. She was born in Serbia and moved to Canada when she was only a few months old. She has always had a passion for education, despite the fact that English was not her first language. She has always known that she wanted to be a teacher, even at a young age. She often struggled in school, and due to a language barrier between school and home, she relied on her wonderful teachers for extra help. Her childhood dream of educating others and giving back the knowledge, support, and patience that had always been shown to her came true in 2010 when she graduated from the Faculty of Education at the University of Windsor. She was eager to embark on her teaching career. Upon graduation she continued to upgrade her skills by taking additional qualification courses. She completed her Intermediate and Senior qualifications, as well as Special Education Part 1. She volunteered in local grade schools, and high schools, and helped the local school board implement an after school program for reluctant learners. Her path soon crossed with Grade Learning and she transitioned to adult education. Her experience at Grade Leaning has been a wonderful and rewarding journey thus far, and she looks forward to many more great years. Grade Learning is a community of educators, each of whom bring different experience and qualifications. Our experienced staff of approximately 250 instructors have their Bachelors of Education or are qualified Microsoft Office Specialist, Career College and TESL instructors. We carefully select our teachers from thousands of applicants. Each teacher must complete an initial interview, a skills assessment and a second interview to be considered for a position. Our process is very thorough and we check references and certifications prior to offering employment. Our diligence doesn’t end there. In addition to only hiring qualified teachers, we provide each teacher with an individual training plan designed to strengthen their skills. We also provide our teachers opportunities to attend workshops and conferences, and participate in Grade Learning’s Personal Best Awards and the Grade Leadership Centre. Equates to success for our students! receives the best possible education and training – every day.